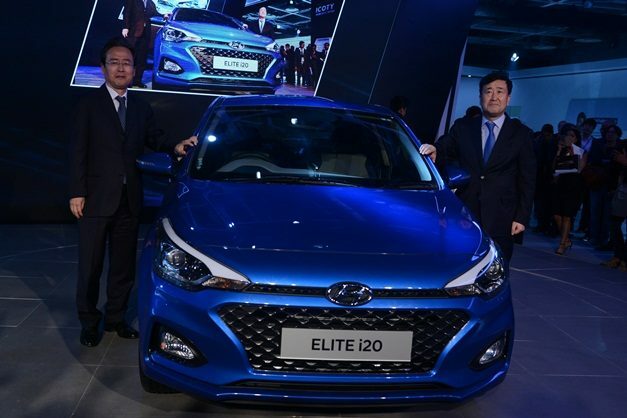 Hyundai Motor India today launched its Super Performer Iconic Premium Compact – ‘The New 2018 ELITE i20’ that embodies Hyundai’s Modern Premium offering for the global customers. Hyundai also unveiled its Global EV, IONIQ – a symbol of Hyundai’s commitment to future of mobility at Auto Expo 2018. Hyundai Motor India Ltd unveiling IONIQ electric at the Auto Expo 2018. Launch of the New 2018 ELITE i20 at the ongoing Auto Expo 2018.